When it comes to calming down a baby that cries non-stop, you have to stay relaxed. Otherwise, you may emit your stress and negativity to the baby. Children cry for a lot of different reasons. Most of the time, we’re not entirely sure why. However, as parents, we have to know the causes, actions and consequences of our children crying. In this article, we’ll take a look at how to calm down a baby that cries non-stop. It’s hard to figure out what a baby wants if the only way babies can express themselves is through crying. However, as parents, you should learn to know the reasons why your little one might be crying. When a newborn cries, it can be so irritating that you get stressed out. However, if you’re trying to calm down your baby, you have to make sure you stay relaxed. Otherwise, the situation could get worse for both you and your baby. Why is it Important to Know How to Calm a Baby? A person’s health can be affected by his or her emotions. When it comes to babies, they can only express their discomfort by crying. If you don’t tend to their needs, they may start to develop various mental and emotional problems, either short-term or long-term. If you know how to calm your baby down, you’ll have a better relationship with your baby. That’s because you’ll be able to care for your baby better and you’ll create a more trusting bond with your little one. Also, you should avoid any stressful situations that could make them start crying. There’s nothing that makes us happier than seeing our child’s smile. If you learn how to calm a baby that cries non-stop, you’ll notice that your child is a lot happier. Play, talk, eat and do more daily activities together. This will create an unbreakable bond between parents and their child. In prehistoric times, people didn’t often wear clothing or accessories. However, obviously things have changed since then. Your baby may be allergic or be sensitive to certain materials like cotton, sequins or metals. 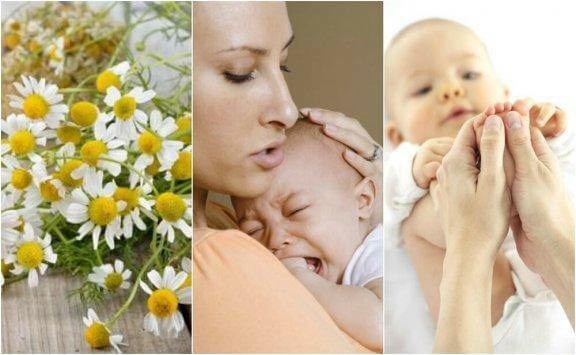 If you notice that your baby’s crying is accompanied by symptoms of allergies, you should take your baby to the doctor. Although it doesn’t take a lot of time, babies can develop very deep emotional ties with people. So, you may notice that your child doesn’t like to be held by people s/he doesn’t know. Then, the most effective way for your baby to express this is by crying. When this happens, it’s best that you hold your baby instead so that s/he understands that the other person doesn’t have any bad intentions. Humans needs to eat and stay hydrated in order to survive. However, since babies cannot do this for themselves, they’ll cry when they’re hungry or thirsty. Then, until you can figure out what it is that they want to eat or drink, they won’t calm down. Read this article: Should you Wake Your Baby for Feedings? 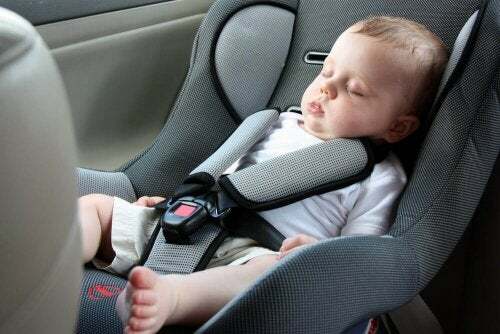 Noise and lights can interrupt your baby’s sleep. On the other hand, if your baby wants to sleep, but s/he’s not in a comfortable place, your baby won’t stop crying until you put your baby in his or her crib. On these occasions, we recommend holding your baby in your arms until s/he relaxes. Worst case scenario, your baby could be crying because s/he’s in pain. Babies are prone to colic, infections and other conditions. Therefore, it’s best to take your baby for a check-up periodically. If your baby is crying about something else that’s bothering him or her, you should keep an eye on your baby. Then, decided if you can treat the issue at home or if s/he needs to be taken to the doctor’s. A little affection can help calm anyone down. So, the best way to calm down a baby who cries non-stop is using loving and affectionate gestures. For example, some gentle pats on the back may help when your baby is suffering from colic. Gentle hugs and tickles also help. This will make your baby smile and help stop the tears. Even if you don’t have the most beautiful voice, every child loves to be sung to. Any time you notice tears on your child’s cheeks, you could sing your baby’s favorite song until s/he falls asleep, or until s/he’s back in a playful mood. That way, your baby will feel safe and loved. Not caring for your baby when your baby cries non-stop can have short-term and long-term consequences. One of them is that s/he’ll have trouble expressing feelings, since no one responded to his or cries as a child. This can affect their personal and professional relationships, since they won’t have the ability to freely express themselves to others. When a baby cries, parents can get stressed out. This stress can cause parents to react in an impulsive manner. For example, they may act violently towards their child or yell at the child. Not only will the parent feel extremely guilty if they act this way, but the child will likely develop psychological or physical trauma. It goes without saying that this should be avoided at all costs. Calming a baby down may sound like a difficult task for a first-time parent. However, you’ll see that over time, with more practice, it’ll get easier. With some patience and love, you’ll know how to stop those tears and create more smiles. These tips can help anyone who’s going through maternity or paternity. Tell all of your friends the importance of understanding your baby and making sure he or she is happy. That way, you’ll be able to share more happy memories together without any tears.